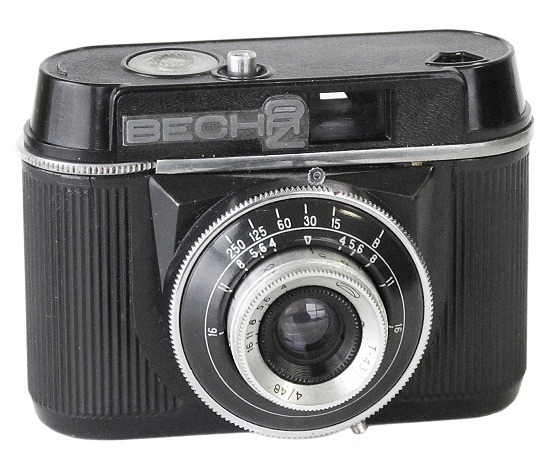 Bakelite camera identical to the predecessor Vesna, with a new lens T-43 4/40 mm and speed range reduced to 1/15s – 1/250s. 7 digit serial numbers without date prefix. Shutter: 1/15s, 1/30s, 1/60s, 1/125s, 1/250s + B.
PB0705. 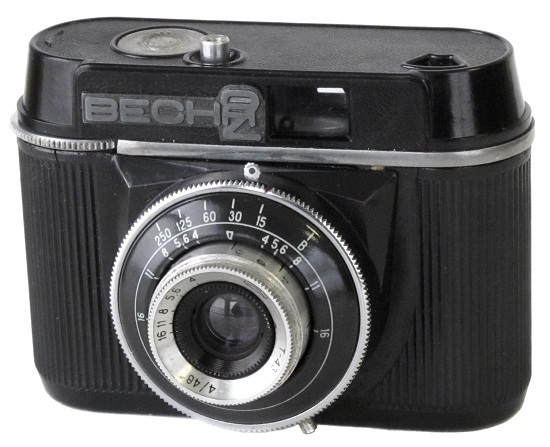 Seems to be an earliest productional version of Vesna-2 camera. No accessory shoe yet. Date prefix in serial number. Very uncommon to find nowadays. 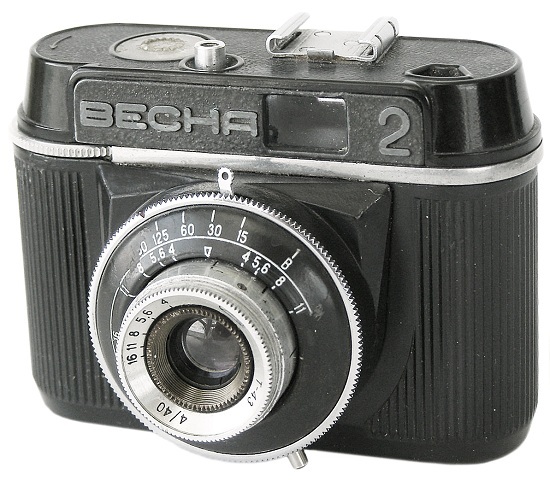 Camera #63009799 opposite from Sergey Kochergin (Belarus) collection. PB0710. 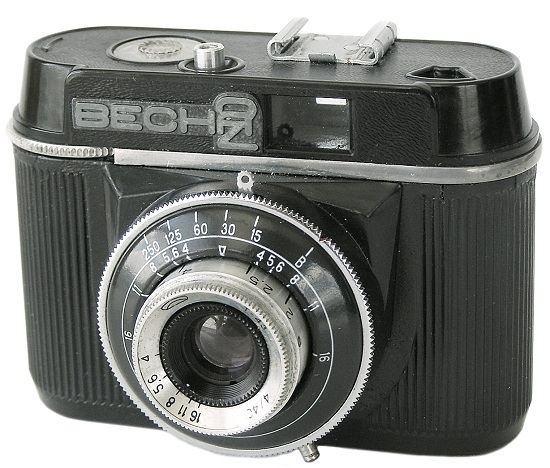 Camera identical to PB0705, but with accessory shoe already. New serial number coding system. No otherwise different. Not common to find nowadays. PB0712. 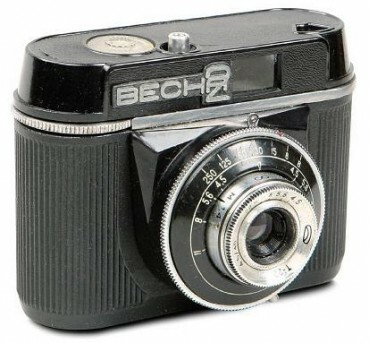 Very uncommon to find version of the particular camera. Identical to PB0710, but without an accessory shoe again, as on PB0705 camera (see above). PB0715. Camera identical to PB0710, but with different name markings already. More common to find nowadays.